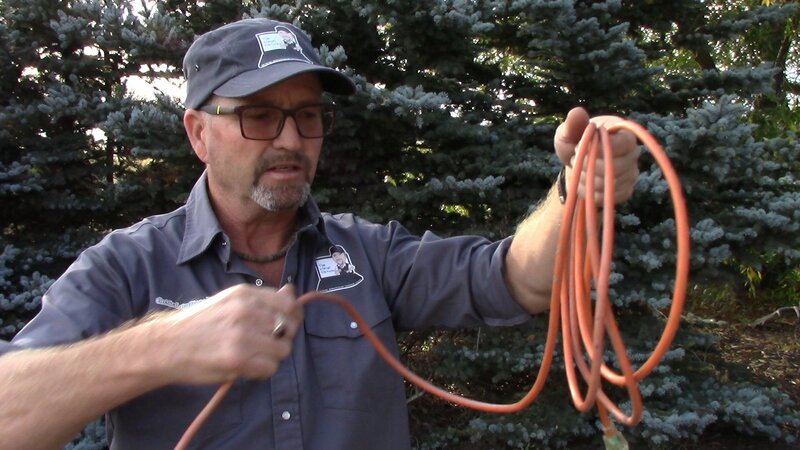 In this article and supplementary video I share what I consider to be the best way to wrap an extension cord. It all starts with a scenario that may be very familiar to you. 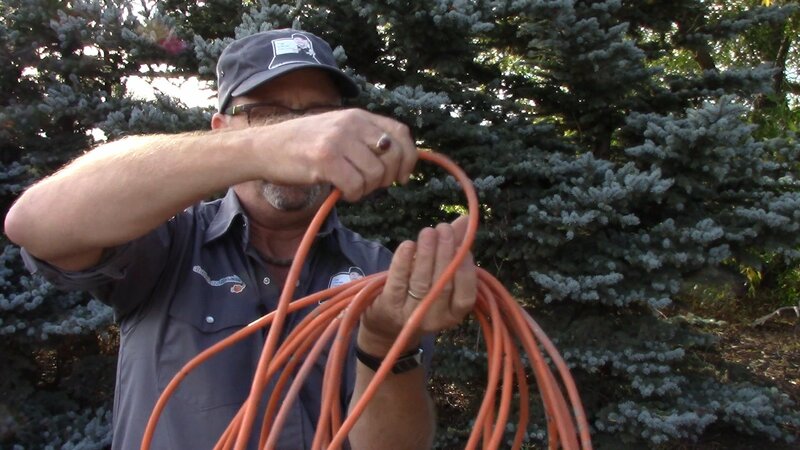 You need a long extension cord to use an electric tool like a lawnmower or a hedge trimmer, and find that the cord is a mess. All twisted and full of knots! 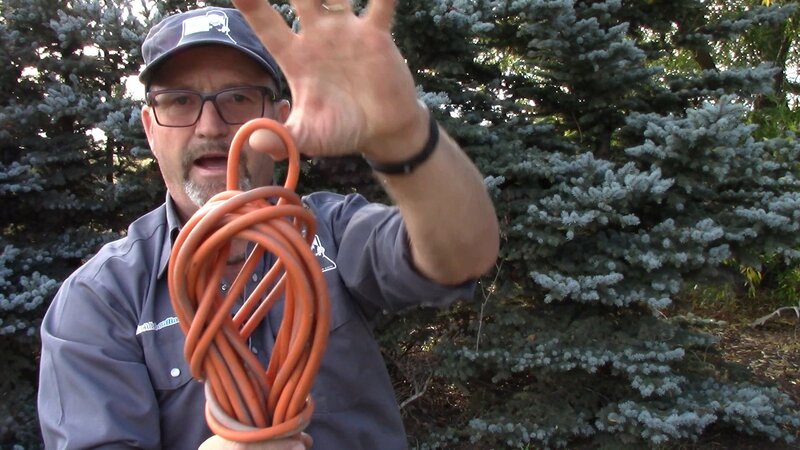 Don’t Coil Your Cords – Fold Them! Here’s a better way to wrap up and store those long light duty cords. The process is called folding rather than coiling. When you coil a cord, to get nice loops together necessitates twisting the core in one direction over and over again, 360 degrees per wrap. 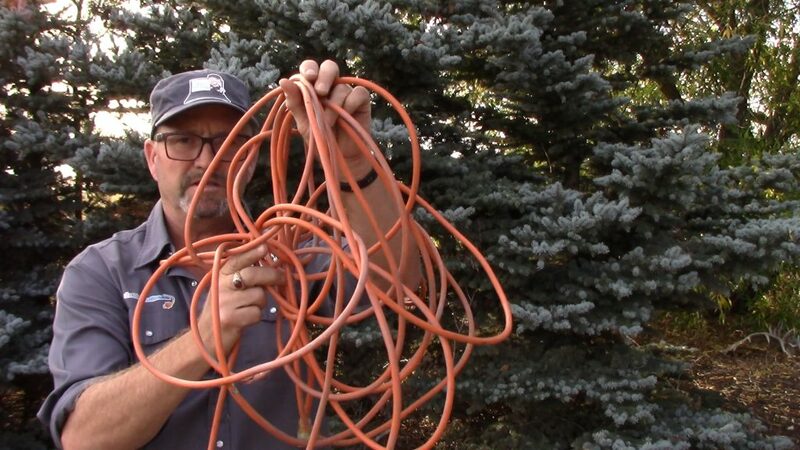 Unless the cord is stretched out and free to flip around easily, you’re going to get twists, and if the cord ends get mixed up in the loops, unwrapping the cord is going to result in knots, if not a completely tangled mess. Untangle the mess created from not knowing this simple trick. Then stretch out the cord to begin. With an open palm facing upward, drape the cord over your palm and leave the end longer than the loops or folds that you are going to make. 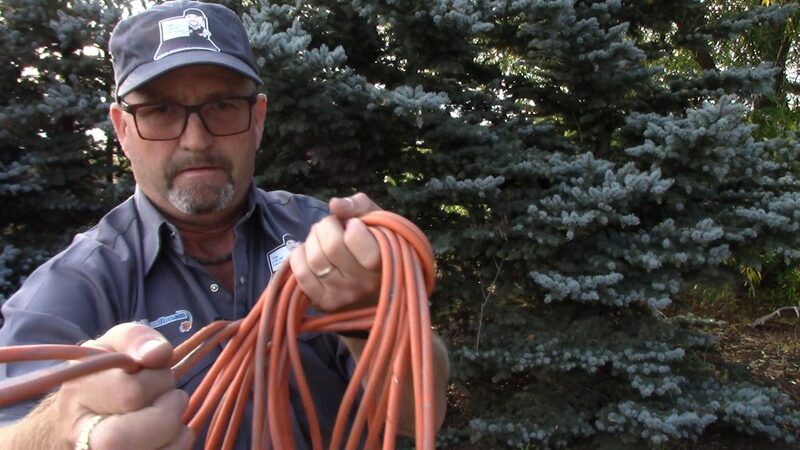 With your free hand, pull the cord in one arm length at a time, dropping the cord into the palm of your had first one way, then back again in the opposite direction making two even loops hanging down on each side of your hand, but not longer than the cord end you have hanging down. When you get near the end, leave the last loop slightly longer than the others on that side, and enough length so that the cord end is hanging below the loops as well. Take that last longer loop, and wrap it around both folds once or twice below your palm, and then bring it back through in place of your hand. Use the loop you bring out to hang the cord, or spread that loop out and pull over top of the rest of the folds to secure everything in place. Then you can hang the cord resting all the loops on an appropriate hook. Make sense? Watch the video below to see the folding process in action. There you have it! 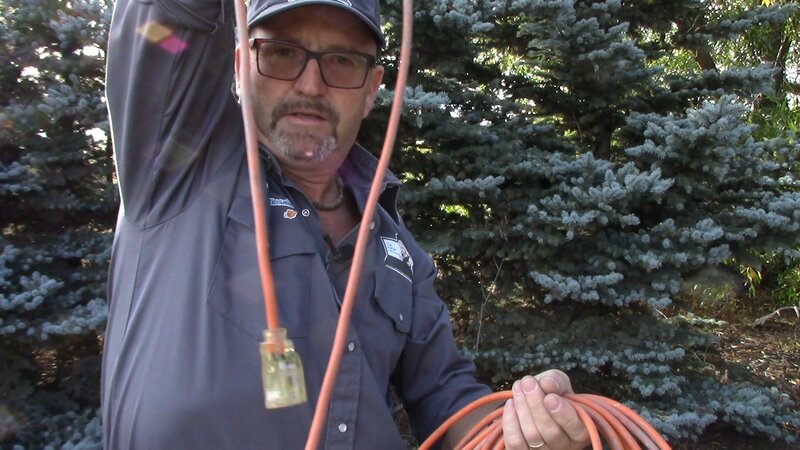 A neater, more effective way to wrap an extension cord. 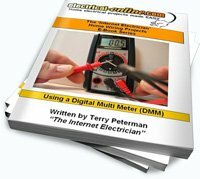 Feel free to share this article/video with anyone you think might benefit from it. 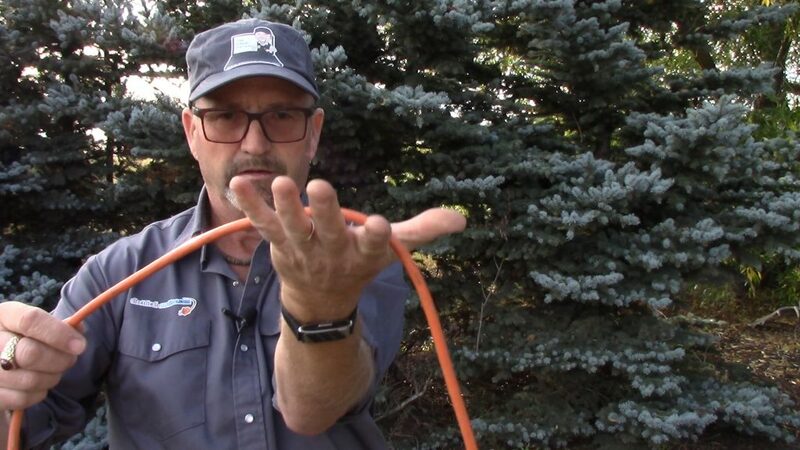 This entry was posted in Electrical Wiring, How-To-Videos and tagged cord, cords, extension cord, fold a cord, fold an extension cord, wrap a cord, wrap an extension cord. Bookmark the permalink.